Pallet: a portable platform for storing or moving goods that are stacked on it. 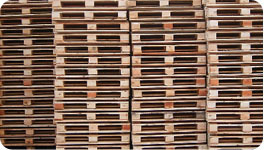 We here at Pacific Coast Pallets provide only the best wooden pallets available. Copyright © 2019 • Pacific Coast Pallet, Inc.